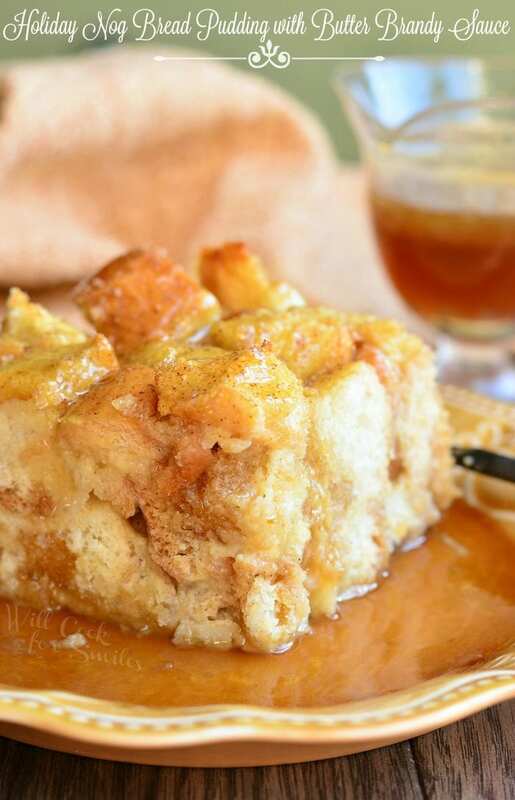 Beautiful coffee cake that wold make a perfect holiday breakfast. 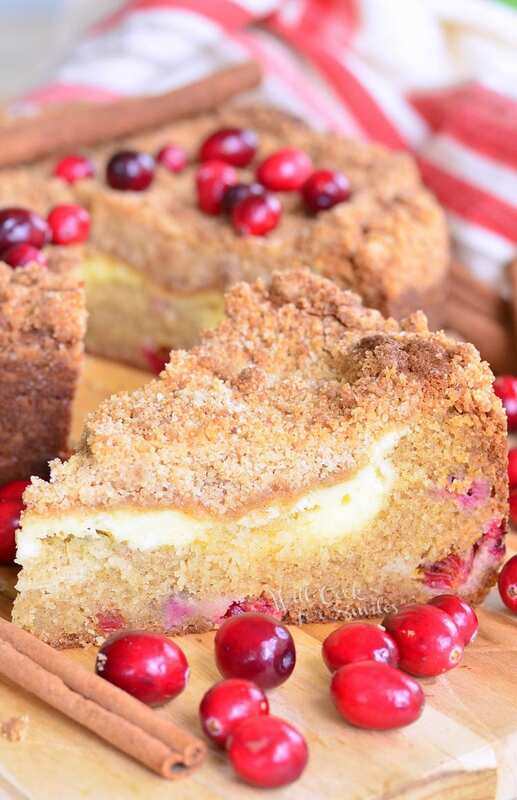 Soft coffee cake made with cinnamon and cranberries, layered with cream cheese filling, and topped with cinnamon spiced crumble. 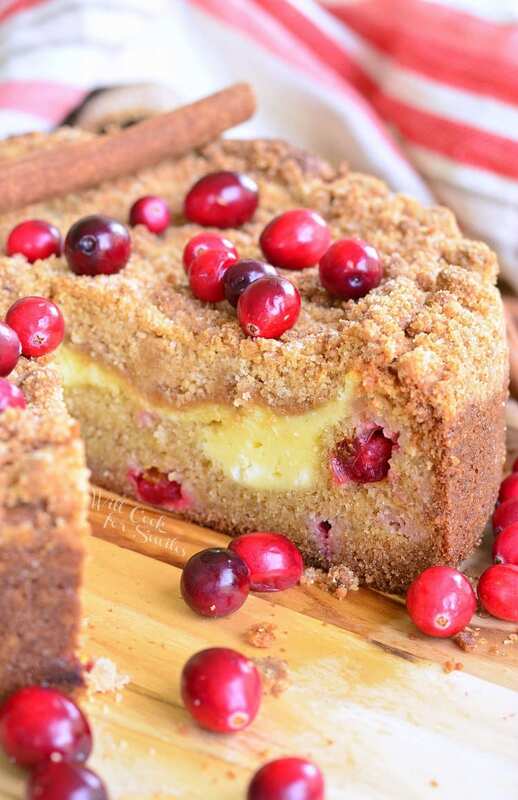 “You are SO beautiful,” I said every time I walk by this Cranberry Coffee Cake. I can’t tell you how many times I came close to planting my face right into the middle of the cake to try and eat my way out. Every time I smelled the beautiful aroma, it was like a magnet. I wasn’t the only one that was so drawn to this treat. Every time little man walked by the kitchen, he had to take a little detour and pick at the coffee cake. He had a slice for breakfast, as a snack after school, and as a little treat after dinner. I think he found a new favorite. I’ve never even seen him like that with a chocolate cake. One time, I even caught him trying to bite the edges off the cake while it was on the counter. Then again, who can blame the little guy?! 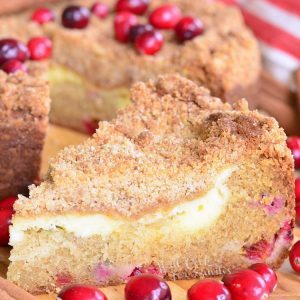 There is luscious, cranberry-filled coffee cake, there is a layer of smooth cream cheese filling, and sweet crumble on top. All of it is spiced with cinnamon for extra flavor. It’s a perfect seasonal treat. 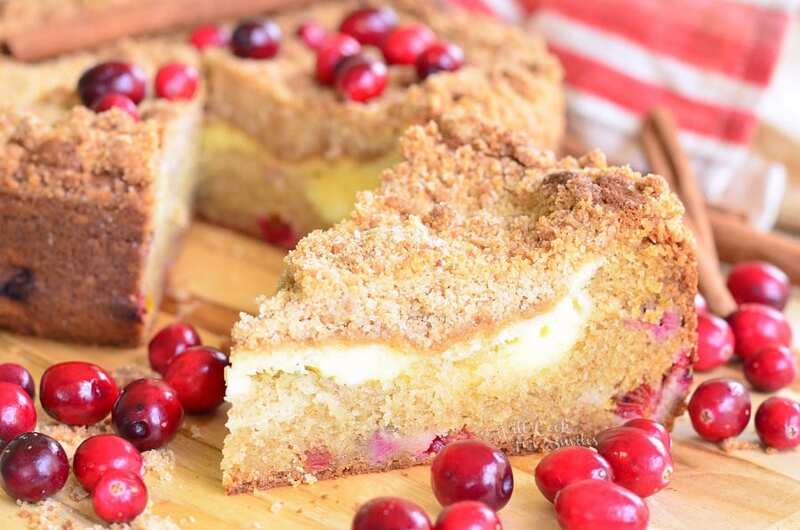 Soft coffee cake made with cinnamon and cranberries, layered with cream cheese filling, and topped with cinnamon spiced crumble. 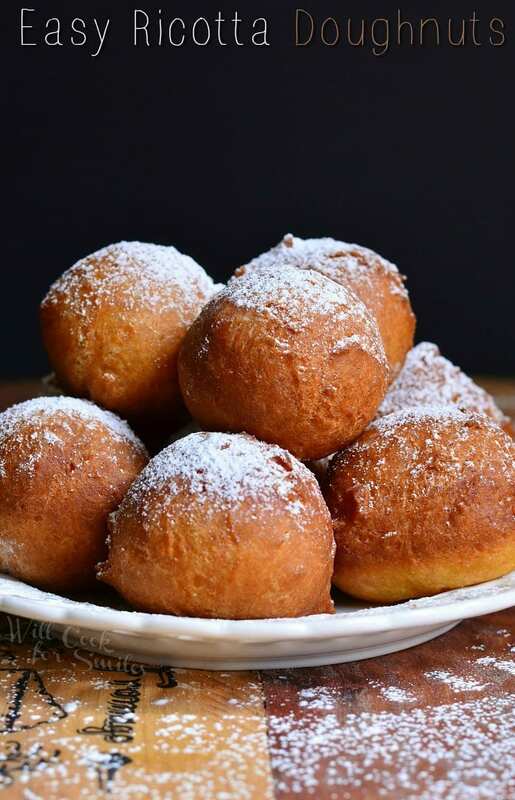 In a bowl of an electric mixer, beat butter and sugar until light and fluffy. Add eggs, one at a time, beating after each addition. Scrape sides and bottom of the bowl. Add vanilla and sour cream. Beat until well combined. Sift in the flour, baking powder, baking soda, cinnamon, and salt. Beat on low speed until just mixed. Scrape sides and bottom of the bowl, and add cranberries. Fold until incorporated throughout. Pour batter into prepared pan and spread it evenly. Beat cream cheese and sugar until smooth. Add egg and beat until incorporated. On low speed, add flour and mix it in. Raise the speed to medium-high and beat for a few more seconds. Spoon cream cheese mixture all over the cake batter and even it out. In a medium bowl, combine brown sugar, white sugar, cinnamon, and flour. Mix well until all ingredients are incorporated evenly. Pour in melted butter, and carefully fold it in with a large fork. You will want to be careful so you don't overmix. Crumble should look like large crumbs and not paste. Sprinkle crumble topping over the top evenly. Bake for 60-63 minutes. (Remember that doing the toothpick test would be tricky because cream cheese will always stick to the toothpick. You could touch the center to feel for firmness of the layers, it will be soft but just make sure it doesn't feel too soft or somewhat liquid.) Cool for 15 minutes before trying to open the springform (and run a butter knife along the edge to separate it from the pan before opening the form). If using a cake pan, make sure to cool to room temperature before cutting. Run a greased butter knife between the edge of the coffee cake and the pan to separate it before cutting. I really was confused on which of my Pinterest boards to put this on. Breakfast? Dessert? Breads? Snack? 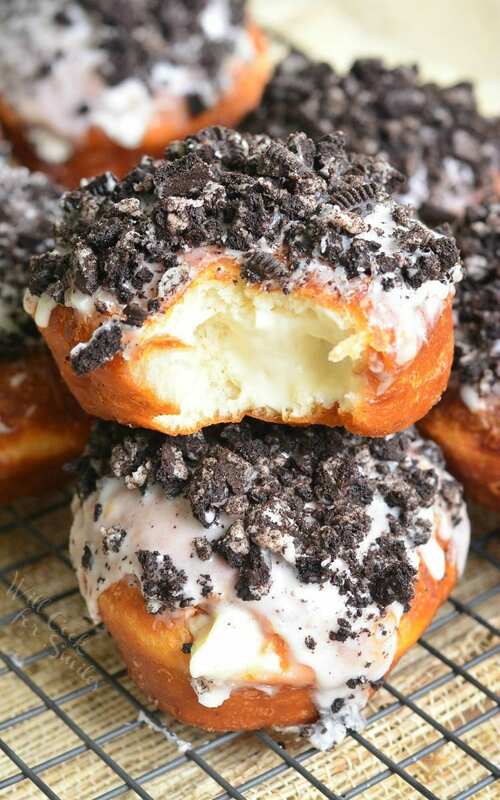 It does look delicious and I’d be right with you planting my face in its center. Love the addition of the cream. Happy Sunday! How do you store this cake, in the fridge because of the cream cheese or on the counter on a cake platter? 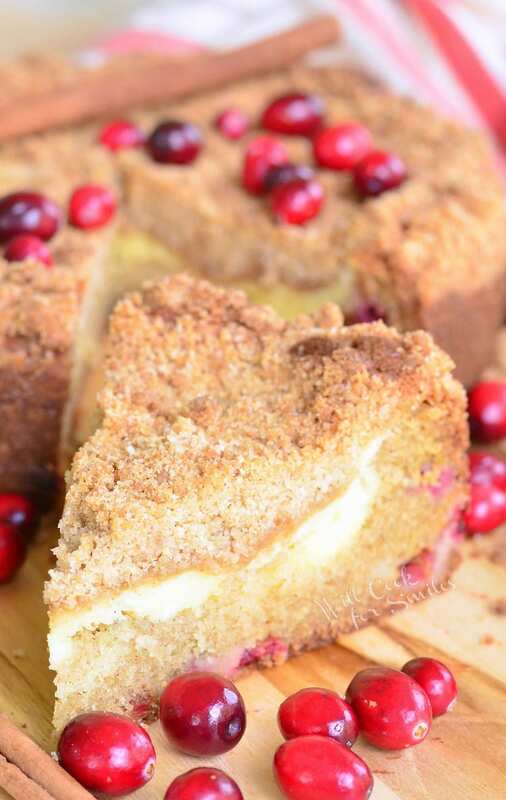 Hi Just printed off this lovely cake recipe~ Cranberry Cream Cheese Coffee Cake. In the ingredients list there is no mention of coffee. When do you add the coffee and what type? instant, expresso? A coffee cake actually gets it’s name because of the type of cake it is. It’s meant to be eaten with coffee or tea for breakfast or snack vs a dessert type of cake. Coffee cakes don’t normally have coffee as an ingredient.